Oh, I am so happy! 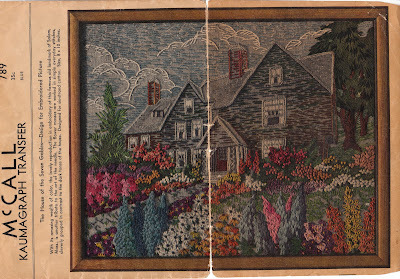 I just finished the 'House of the Seven Gables' 1940 embroidery pattern (McCall 789). Not a moment too soon as I need to mail this out by Monday to make sure it gets to my family by Christmas for the gift exchange. YAY! It's so pretty! I love it and I can't believe I finished it in time!! Wowzers! Debi, that is so impressive! You have such patience and skill to do that. Beautiful! Your family are going to be amazed. That is fantastic, I think hand embroidery looks so pretty....truly an heirloom item....well done. Wow! It's gorgeous, what a beautiful gift and labour of love!! Looks great! It's so beautiful. That is unbelievable! Looks amazing! I couldn't bear to part with something as beautiful as that! Very nice! I too can't believe you can part with it! I love it! 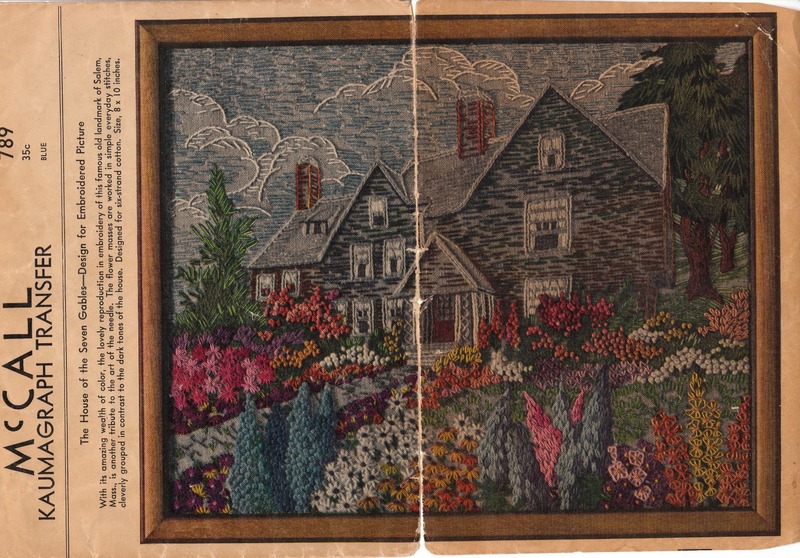 I especially love the plants & flowers - the stitches are so pretty. Like everyone above, how can you give it away??? Thank you for the Snoopy ideas by the way - I am SO inspired - would never have come up with patch pockets nor the piece de resistance - the Snoopy luggage label!! Are you renting it out as a holiday cottage? It would be just perfect! Stunning! I am impressed and slightly envious of your talent. Well done! Impressive indeed. Yours looks better than the original. Less gloomy. I'm thinking of embroidering my Crepe dress. What lovely colours - and a beautiful gift! It looks lovely, just so lovely. Your are incredibly fast! This will be a fantastic gift for your family! Thats absolutely lovely, you've done a great job.